Times Leader Media Group - Legacy Business of the Year, sponsored by Community Bank, N.A. century. During those many decades, the paper has called downtown Wilkes-Barre home. In the past year, it has renewed that commitment to center city, with a major investment in its East Market Street building, which is now home to the editorial, advertising, circulation, and production departments. Media Group also produces the Pittston Sunday Dispatch, Abington Journal, and The Weekender, as well as two real estate products and timesleader.com. The Times Leader and its sister newspapers play a vital role in informing the community of the happenings, public safety messages, and charitable events of the day. In its stories, the Times Leader seeks out positive content that encourages readers. Because its dedicated staff wants the community to remain strong and united, the Times Leader and its professional team are truly committed to their work, this area, and their readers. 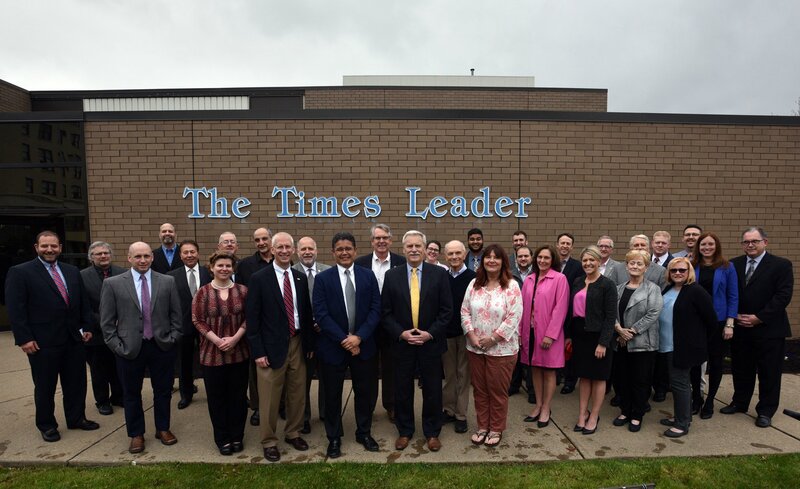 There is a strong future ahead for the Greater Wilkes-Barre community in which the Times Leader Media Group will play a vital role. Join us for the 2018 Annual Dinner on November 13th at 5;30 pm at Mohegan Sun Pocono, to see this award presented to Times Leader Media Group. Register here!